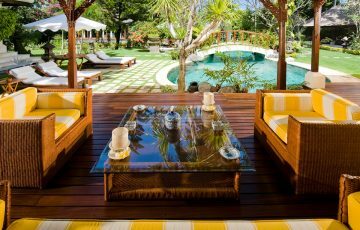 Explore our extensive range of villas to rent in Bali. 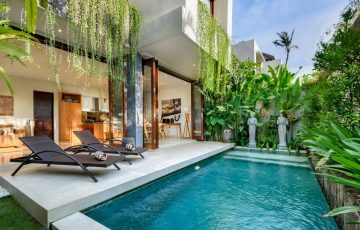 625 Seminyak villas to rent. 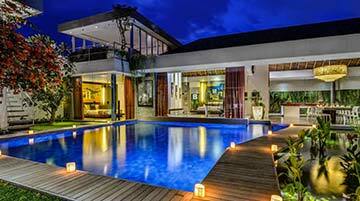 Villa Bamboo in Seminyak, 4 bedrooms - Modern Bali villa with 5 star service & breakfast incl. 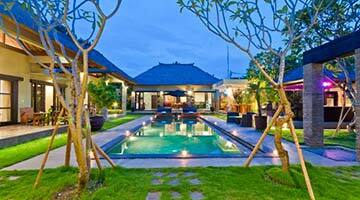 Villa Manis, 4 br at Aramanis Villas - Top Seminyak location near beach - rent this now! Villa Miro, 3 bedrooms - Family friendly Bali villa - rent this now! Villa Umah di Desa II, 2 bedrooms - Easy walk to beach, cafes & shops - rent this now! 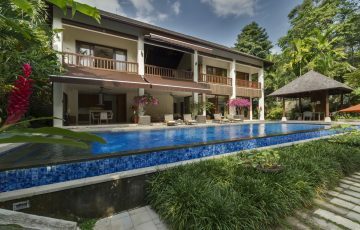 Villa Mathis (Ki), 5 bedrooms - Large Umalas villa with lovely pool & garden - ren this now! 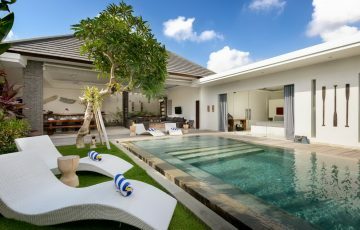 The Layar, 3 bedrooms - Stunning Bali villa in central Seminyak - rent this now! Villa Lodek Deluxe, 2 bedrooms - Top Eat Street location in Seminyak, Bali - rent this now! 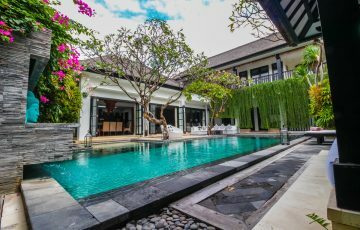 Villa Angel, 3 bedrooms - Close to 'Eat Street' in Seminyak - rent this now! 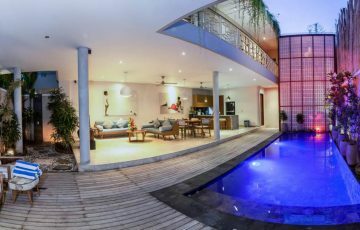 Villa Yasmee, 2 Bedrooms - In the heart of vibrant Seminyak - rent this Bali villa now! Villa Kalila, 2 Bedrooms - Are you on a budget? Rent this Seminyak villa now! 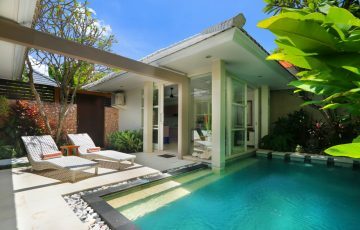 Villa Daria, 2 bedrooms ‘A’ - Budget Bali villa in sensational Seminyak location - rent this now! 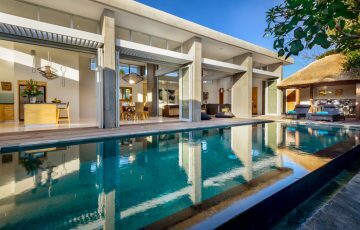 Villa Shalimar Makanda, 4 bedrooms - ABSOLUTE beachfront Bali villa - rent this now! 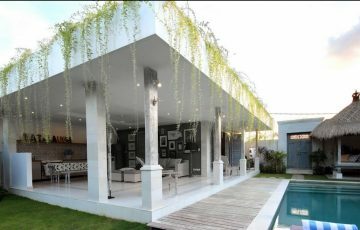 Villa Mia, 3 bedrooms - Amazing Canggu location for your Bali holiday - rent this now! Villa Shalimar Kalima, 6 bedrooms - BEACH FRONT luxurious holiday villa - rent this now! 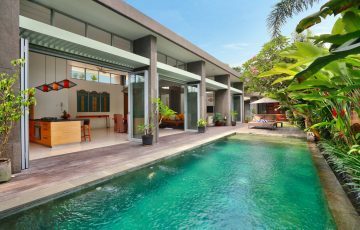 Villa Subak, 3 Bedrooms - FANTASTIC Canggu location near beach & cafes - rent this now! 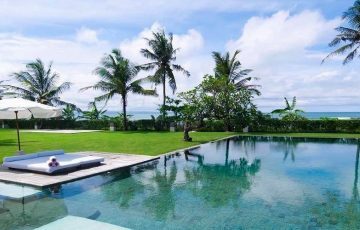 Villa Shalimar, 12 bedrooms - Absolute beachfront location in Canggu - rent this today! 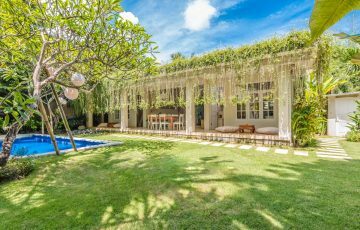 Villa Alocasia Canggu, 4 Bedrooms - Top location near cafes, shops & beach - rent this now! Villa Beautiful Bali, 3 bedrooms - Ultra convenient villa in Legian, Bali - rent this now! 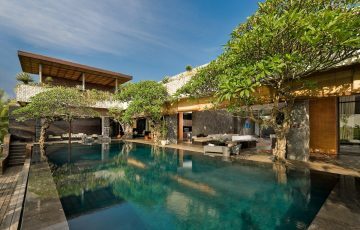 Villa Bale Agung Uluwatu, 5 bedrooms - Luxurious holiday villa in Uluwatu - rent this now! 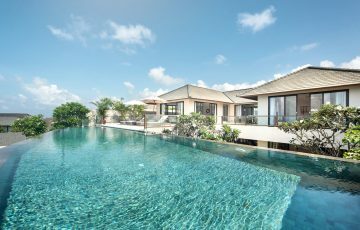 Villa Saujana Uluwatu, 6 bedrooms - Gorgeous cliff top villa - rent this now! 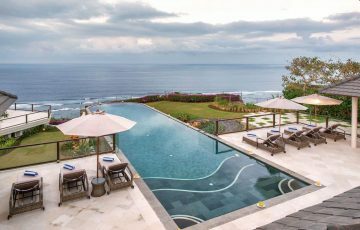 Villa Anahit Uluwatu, 4 Bedrooms - Sensational views & luxurious villa - rent this now! 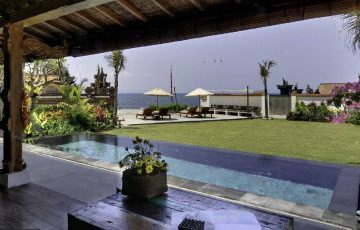 Villa Dewi Lanjar Uluwatu, 4 bedrooms - Oceanfront luxury villa in Bali - rent this now! Villa Feronia Uluwatu, 4 Bedrooms - Luxury Bali villa with sensational views - rent this now! Upala Cliff Villa Uluwatu, 4 bedrooms - Gorgeous Bali villa with AMAZING views - rent this now! 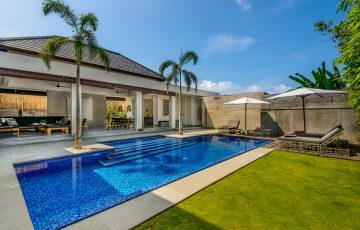 Villa Majapahit Maya, 4 bedrooms - Absolute beach front Bali villa - rent this now! 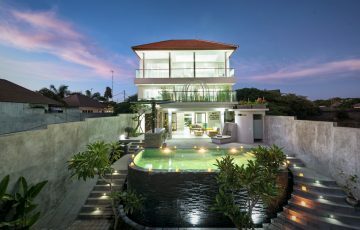 Villa Pushpapuri, 4 bedrooms - ABSOLUTE beachfront Sanur villa - rent this now! 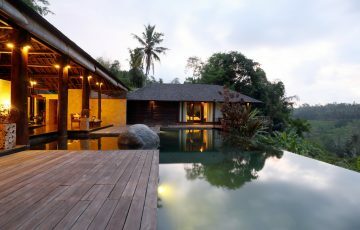 Villa The Lokha, 1 bedroom - Couples or honeymoon Bali villa in Ubud - rent this now! 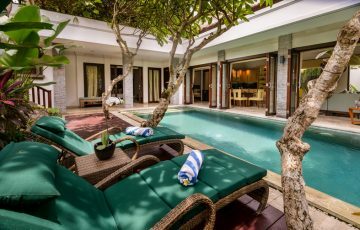 Villa Kamaniiya, 5 bedrooms - Gorgeous Bali villa rental - packed full of value! Villa Umah Shanti, 3 bedrooms - Peaceful Bali villa with sensational views - rent this now! 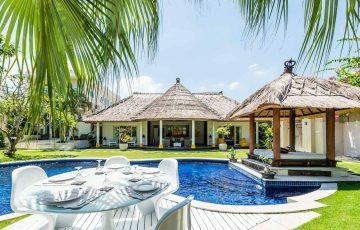 Bali Villa Escapes is an Australian owned & operated Bali villas management agency offering luxury holiday Bali Villas & has been operating since 2005. 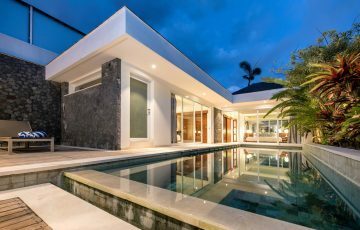 Since that time, Bali Villa Escapes has grown into one of the largest & most respected agencies in the villa rental space, with offices in Sydney and Bali. 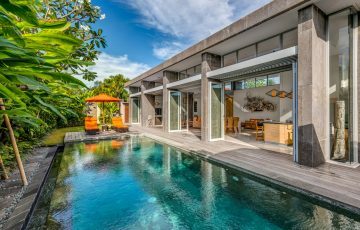 Our reservation team on the ground in Bali have personally inspected all the Bali villas on offer and are happy to help guide and advise you when you book your holiday villa with us. 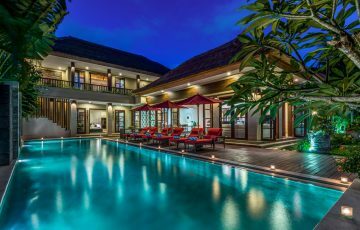 The Bali villas are all hand picked for their level of quality & are considered the best villas in Bali. 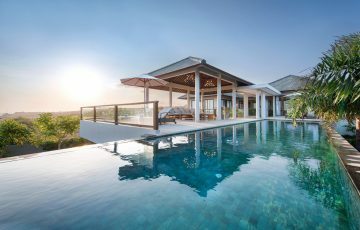 They are designed to host a range of holiday needs from; intimate romantic getaways, relaxing group or family holidays right through to honeymoon, wedding villas as well as villas for large events. 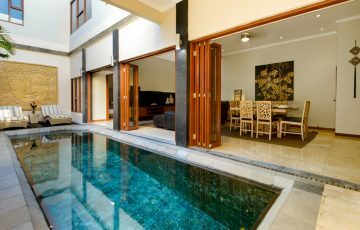 Our villas come with a private pool plus your own staff to make sure you have the ultimate holiday experience. 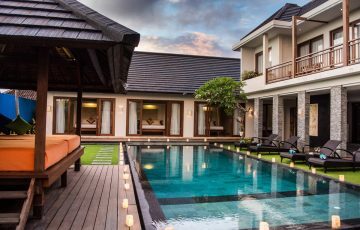 If you need anything extra our villa management team on the ground in Bali are available to assist. 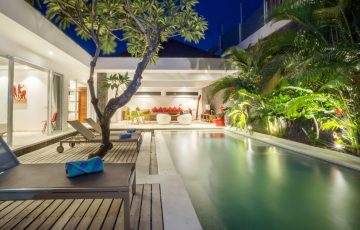 Renting your private holiday Bali villa in Seminyak, Legian, Canggu, Umalas, Ubud, Sanur, Jimbaran, Nusa Dua or Uluwatu has never been so easy or quick. Simply search, inquire & we will get back to you with your confirmed booking reservation immediately. 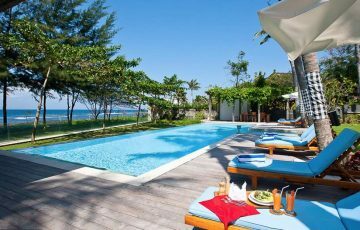 We have a huge choice of Seminyak Villas, amazing & luxurious family friendly Canggu Villas that are all within easy walking distance to the beach (Berawa, Old Man’s or Echo) as well as those healthy cafes, yoga studios, gyms and bars. 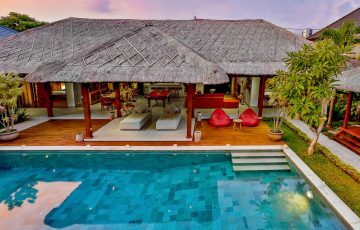 You can also choose from our range of Villas in Legian that are close to Double Six Beach where you can watch those magical Balinese sunsets, take the family for a fantastic dinner or buy souvenirs from one of the many local shops. 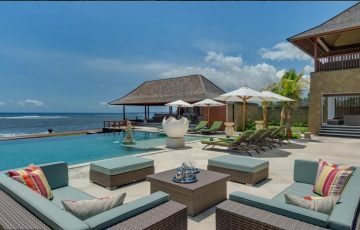 We also have a selection of ocean front Uluwatu Villas where you and your group of best friends can discover an uncrowded and more relaxing side of this tropical paradise. 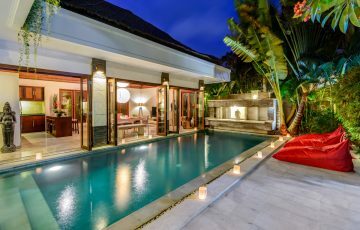 We also have a large choice of Sanur Villas as well as Bali beach villas in the ever popular Berawa & Batu Belig areas. 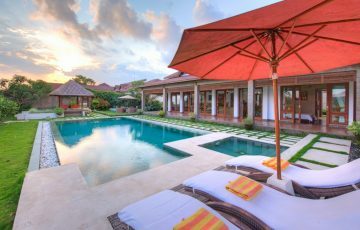 If this is your first time staying in one of our villas in Bali then your in for a fabulous holiday experience. 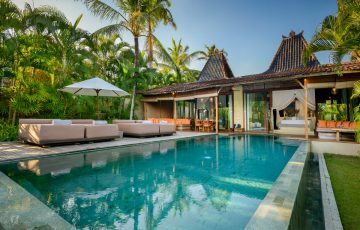 Each of our Bali villas captures the true essence of the Balinese way of life; private, peaceful, elegant, serene and charming. With all the features required to truly relax most villas include: baths, private swimming pools, chefs, drivers, housekeepers, security, fully air-conditioned, fast Wifi, flat screen cable TV’s, large open plan living & entertaining spaces, BBQ’s, quality bedding as well as access to a 24-hour concierge & butler service. 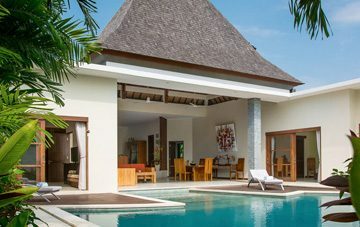 With over 525 private pool 1, 2, 3, 4, 5 & 6 bedroom villas to choose from; Bali Villa Escapes caters for all holiday makers looking for their idyllic villa getaway. 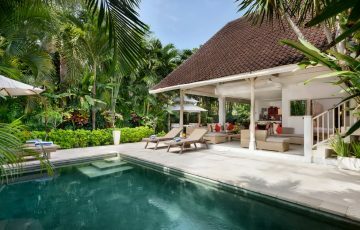 We have helped over 25,000 travellers find their luxury villa in Bali. Seminyak is known as the sophisticated, fashionable, chic & trendy part of Bali. 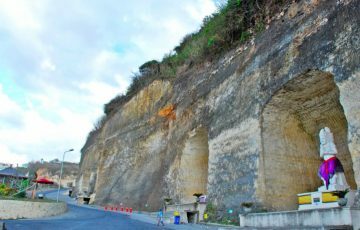 It's populated mostly by the 'in crowd', families with children and holiday makers from all over the world wanting to experience this amazing area. You’ll have no trouble finding high-end restaurants, trendy bars or day clubs and family friendly places to eat. 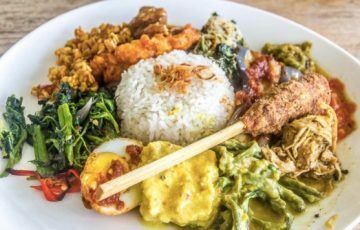 As you walk around the glitz and glamour of Seminyak, you’ll find that this is where the beautiful people come to parade, shop, eat at 5-star fine dining establishments or simply chill out at the many cafes or organic health food shops along Jalan Kayu Aya ( Eat Street). 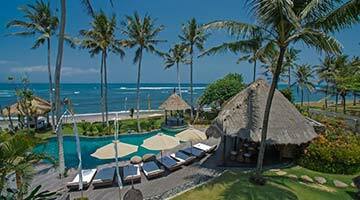 Seminyak is also famous for its great beach, which stretches for about a kilometre. 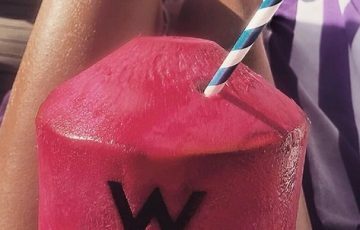 If you love the sun, you can come to top up your tan, socialise, surf or enjoy a day out at the many famous beach clubs such as Ku De Ta, Miss Sippy & Potato Head. Seminyak is the perfect place to people watch, see and be seen and has a really buzzy vibe that continues 24/7. Party the night away, shop till you drop, get a massage, walk along the famous Eat Street, go to one of the many day spas, grab a coffee, do some yoga or relax by your own private pool. You will absolutely love the vibrancy, energy, exhilaration and colour of Seminyak - It's where all the excitement is. 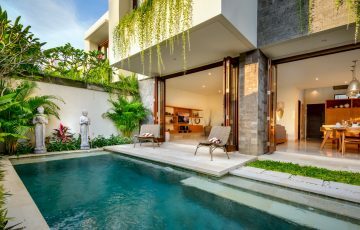 Bali Villa Escapes has an extensive range of private luxury Bali villas to choose from in Seminyak. 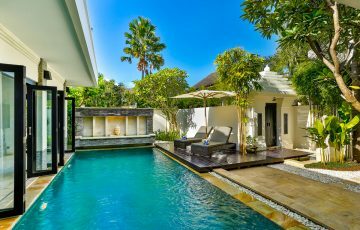 You can view our range of villas in Seminyak & gorgeous Bali beach villas to suit your holiday styles and budgets. On the East side of the island, you’ll find the relaxing, laid back and breezy Sanur which has a charm of its own. With an abundance of private and luxurious villas to choose from, it is also very popular with tourists from all over the world. 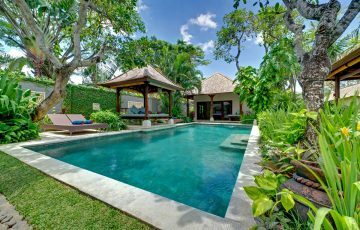 Sanur has many private pool villas & a great beach for people watching, surfing and enjoying the sun. Sanur is ideal for people who want a more relaxed and slow paced Bali holiday experience, but still be close to local restaurants, bars, markets and the shopping action. Don’t hesitate to enquire about our breathtaking & luxurious beachfront holiday villas to rent. They are value for money and it is more affordable to rent villas in Sanur than other parts of the island. Sanur is definitely worth a visit if you enjoy peace and serenity. 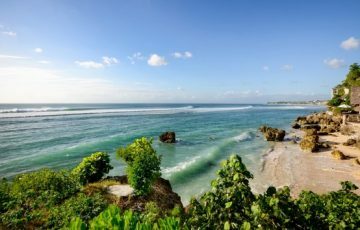 It’s also worth noting that you have to pass through Sanur to get to the beautiful islands of Nusa Lembongan and Lombok. If you’re planning on visiting these islands, it's worth spending a few days in Sanur beforehand. The cultural centre of Bali, Ubud is a picturesque village in central Bali that’s famous for its arts, yoga studios, vegan cafes, bohemian lifestyle, Balinese cooking classes, shopping, the Money Forest Temple and crafts. Most of Ubud and its nearby villages consist of artists' workshops and galleries. There are some remarkable architectural landmarks and other sights like the stunning rice fields. With free airport transfers, you will be enjoying your downtime in your private Ubud villa in no time. 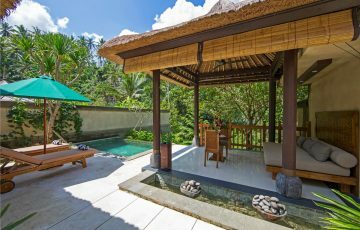 The fantastic thing about our villas in Ubud is the breathtaking views. 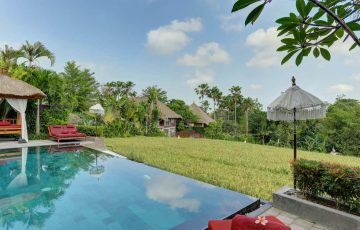 Most of our Ubud villas are surrounded by rice fields, so the nature and scenery in the vicinity is absolutely spectacular. 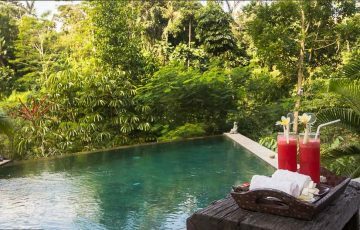 Plus, our villas all within walking distance to the local markets, yoga studios, 5-star Ubud restaurants, bars and health food & organic cafes. 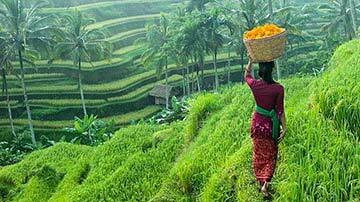 As a great alternative why not spend a few days in Ubud and experience the cultural heart of this wonderful island. 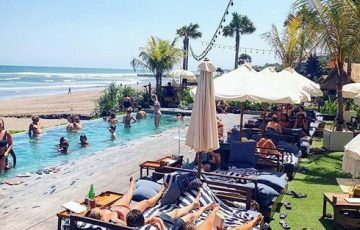 Canggu is just a 10 minutes drive from the hustle and bustle of Seminyak and you’ll find it’s a Balinese village with a peaceful and some what 'hipster' vibe. 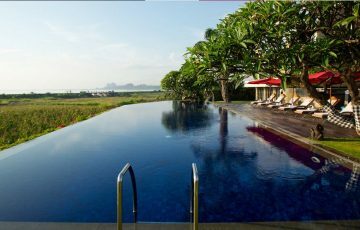 Feel your stress and tension peel away as you dive into your private pool in absolute bliss. 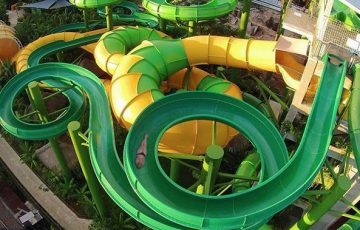 It has relaxed beach areas such as Old Man's and Echo for family fun and for those that love to surf. 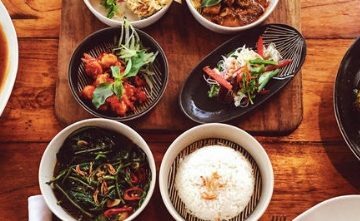 Canggu also has many great restaurants, really hip and very healthy cafes for expats and tourists alike, perfect for your next holiday in Bali. 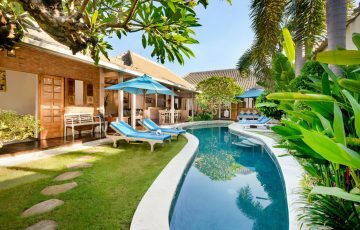 Get in early, as most of our Villas in Canggu get booked out very quickly. 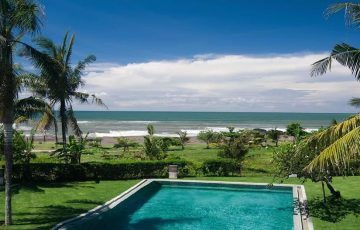 We have an extensive range of 1 to 6 bedroom villas for you to choose from in Canggu, which are all really close to the beach. 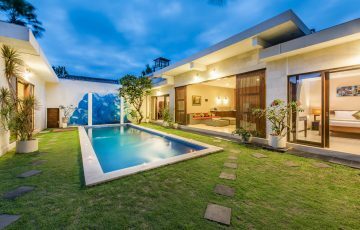 Bali Villa Escapes has the largest and most diverse range of Canggu villas to suit all types of holidays; whether you want to be situated near the buzzing Batu Bolong shopping strip or the more relaxed Batu Belig area. 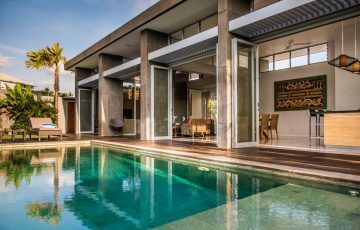 Canggu is fast becoming the 'go to' destination in Bali so if you want to spend some holiday time in one of the hippest & coolest places in Bali make sure you contact us about our range of stunning Canggu Villas to rent. Despite the small size of Legian, this area in Bali packs a punch in terms of shopping, beaches, bars & nightlife. 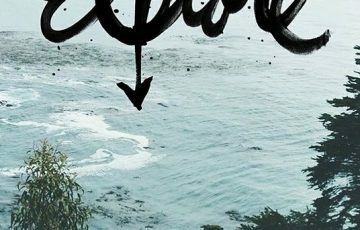 As an extension of the Kuta area, Legian is a mix of the old surfer culture and the new modern Bali we know today. 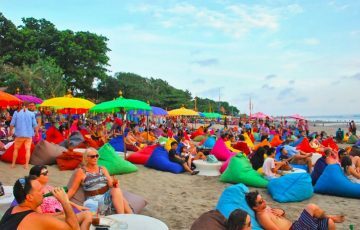 Legian is the spot for partying to the wee hours of the morning, cheap massages, lazing around on the beach, eating at local restaurants (warungs) and bargain shopping! Legian has it all. 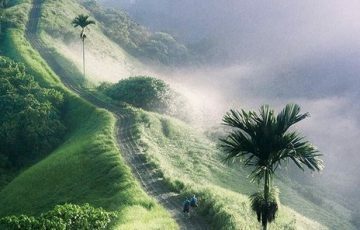 It's very popular among tourists all over the world, including backpackers, surfers and families. 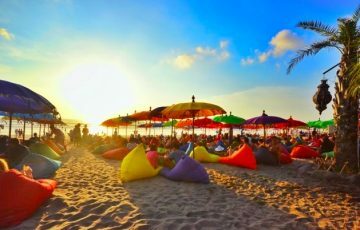 Check out the Double Six beach area, Bintang supermarket, the famous Warung Made restaurant, as well as the fashionable bars dotted along the beach where you can kick back and watch the sunset. 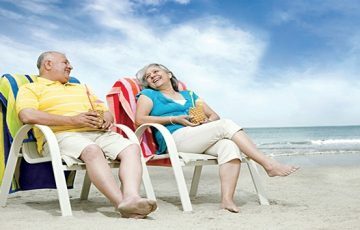 When you holiday in Legian you will never be bored. Imagine soft white sand and a panoramic view of the Indian Ocean right in front of you. The beautiful Berawa Beach is where you can achieve ultimate zen mode. 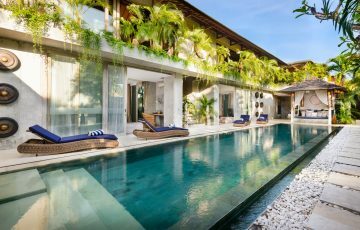 It’s also perfectly located because you can catch a 10 minute taxi ride to hip bars, healthy cafes and top restaurants in Seminyak or Canggu. Berawa also has the advantage of being next door to the less touristy Umalas area. 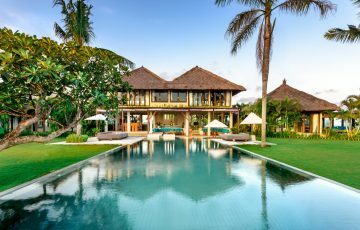 Not too many people know about Berawa but if you want to holiday in one of the most picturesque and popular areas of Southern Bali, make sure you stay in the Berawa area. There are loads of really chic cafes, trendy restaurants and is the 'go to' destination for many ex pats, locals and families who want to be in the thick of all the action. 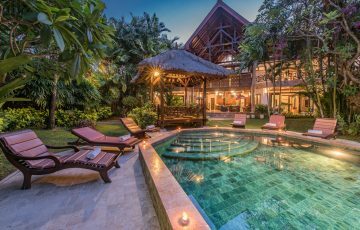 We’ll help you find the perfect Bali villa with the best price! 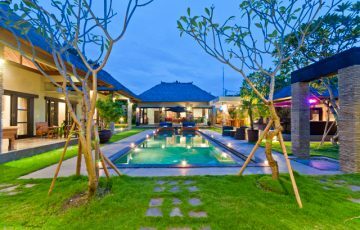 Why rent a Villa with Bali Villa Escapes? 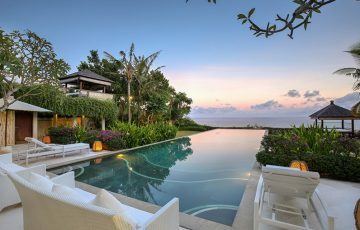 We aim to make booking your luxury villa accommodation in Bali fast, simple, hassle free & very easy. All you need to do is fill out the enquiry form, or chat with us online & one of our team will get back to you ASAP. 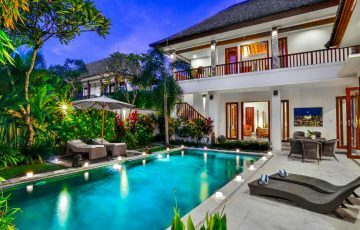 If the villa you have selected is not available, our team will make alternative suggestions, answer any questions you have and do all they can to make the process of booking your holiday villa in Bali as easy as possible. 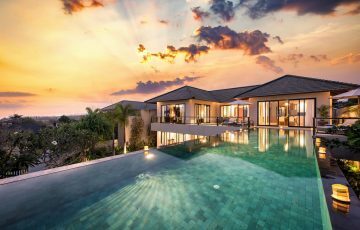 You don’t need to go through a travel agent or a massive booking site as our team will find the best villa to match your exact requirements. 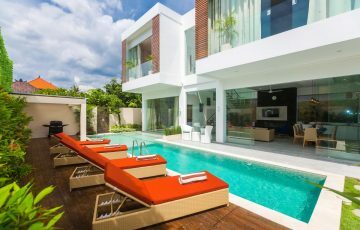 We have immediate contact with the villa owners and can therefore guarantee not only the best price for your Bali holiday villa, but also reliable access to their villa calendar. 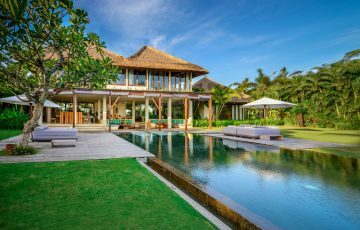 Once we receive your inquiry, one of our villa reservation team will be in contact with you to get a better understanding of what you are looking for (number of rooms, price, area, do you need a pool fence, chef, concierge and the style you like; contemporary or Balinese). From there, we can organise the perfect villa to suit your holiday needs & budget. 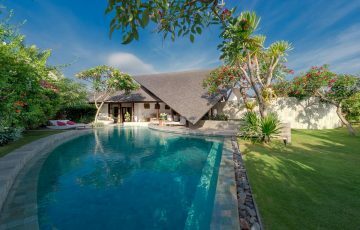 Our goal is to showcase gorgeous Balinese holiday villas that represent incredibly good value for money. We have extremely strict quality control guidelines & only the best villas make it onto this site. 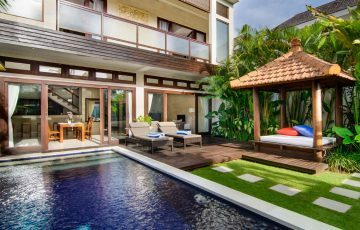 This is why we one of Australia’s largest villa booking agency for holiday makers looking for luxurious & affordable accommodation in Bali. 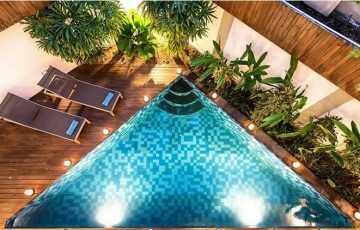 Most of our Bali Luxury Villas have a private pool, are in a sensational location; near shops, restaurants, cafes, health food bars, gyms, yoga studios, supermarkets, on the beach & are also fully staffed. All you have to do is look at the Villa descriptions, location, photos, guest reviews and prices on this website and make your choice. 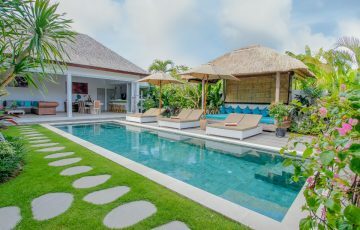 Whether your looking for a romantic 1 bedroom villa for a honeymoon or a beach front villa for the family; Bali Villa Escapes is 100% committed to ensuring you have the most relaxing & care free holiday in Bali. 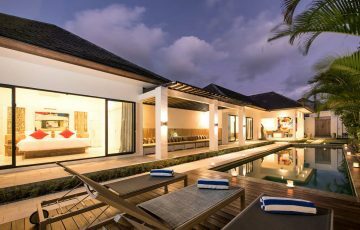 We have over 295 luxury 2 bedroom Seminyak villas for you to choose from – all of which have been inspected by our team of villa specialists. 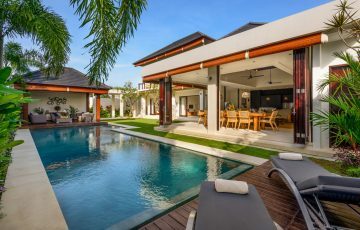 These villas are ideal for a small group of friends or a family wanting to experience the privacy, seclusion and luxury that only our Bali villas can offer. Holidaying in Seminyak is all about relaxation, the beach,fun and good times. 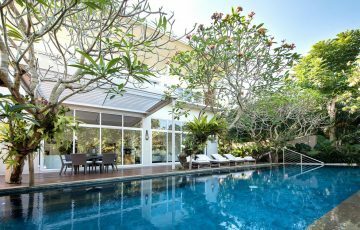 With a villa centrally located in the heart of Seminyak, it couldn’t be easier to experience the great nightlife, amazing food, wonderful cafes & fabulous shopping Seminyak is renown for. 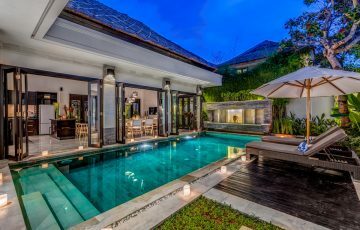 We have selected the very best of private, stunning 3 & 4 bedroom holiday villas available for rent in Seminyak and are proud to showcase these on our website. 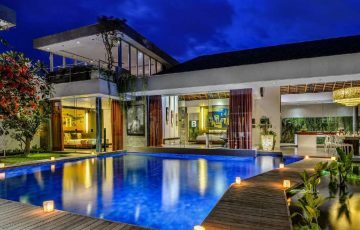 There is a wide range of budget, family friendly to 5 Star luxury Seminyak villas to rent in Bali. Every villa offers our guests a perfect setting for a relaxed, easy going & peaceful holiday. 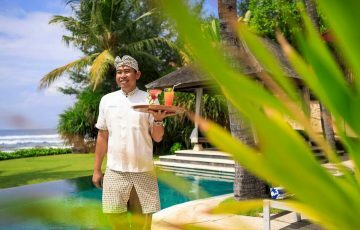 They all have the latest modern day conveniences & are cleaned daily by staff who greet you every morning with that world famous Balinese smile. 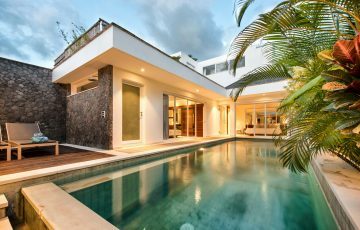 Make sure you ask us about any last minute villa accommodation deals in Seminyak. 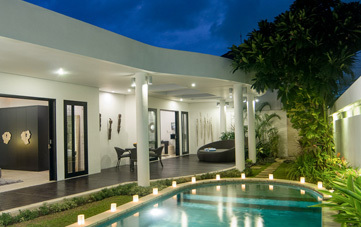 We have over 87 luxury villas in the more peaceful and serene area of Canggu. 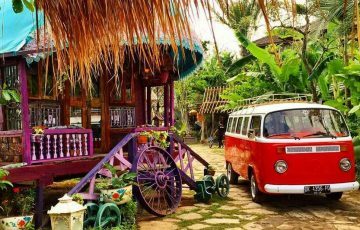 Take a break from the busy south of Bali and totally unwind in the village like atmosphere of Canggu. 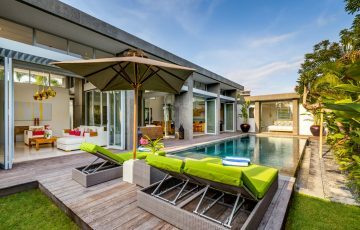 Explore our range of 2 & 3 bedroom Canggu villas here online. Or chat with our reservation team who will find you the ultimate Canggu holiday villa. 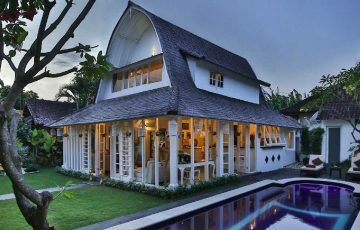 We have a range of beach front Canggu villas or villas with picturesque rice field views that cater for any holiday taste, style or budget. 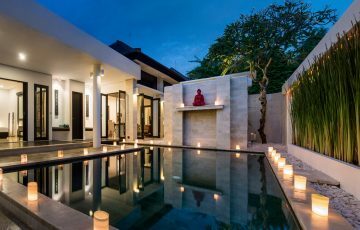 All you have to do is read our fantastic reviews as rated on Trust Pilot and you will soon see why so many savvy travellers from all over the world book their holiday villas with Bali Villa Escapes year after year. Booking a Bali villa has never been so simple. Relax and let us take care of everything. 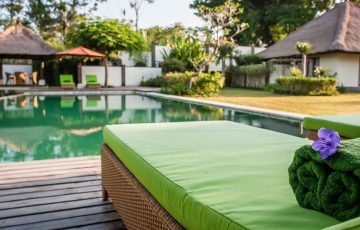 As well as our Australian team, the staff at Bali Villa Escapes are our team “on the ground”, checking the villas and making sure your stay runs the way it should.